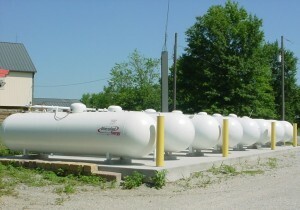 The commercial applications for utilizing propane gas as a cost effective energy source are endless. High recovery rates for hot water and high flue temperatures on heating units make it very desirable indeed. Diversified Energy provides propane delivery service to a wide range of commercial customers. Volume pricing, timely propane deliveries, tank installations, gas piping, and equipment sales are all part of our commitment to being a full-service energy provider.